Happy Wednesday! 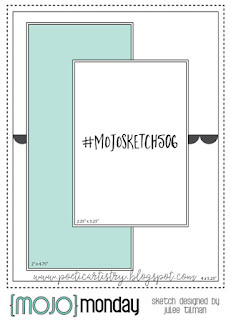 Today is the day the the AHSC design team members share their interpretations of Michelle's sketches, and this one is a milestone: #300! 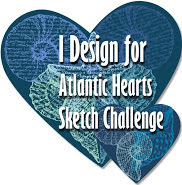 The Atlantic Hearts Sketch Challenge is set up in such a fun way: a new sketch is posted each Monday, and design team inspiration is show on Wednesday. 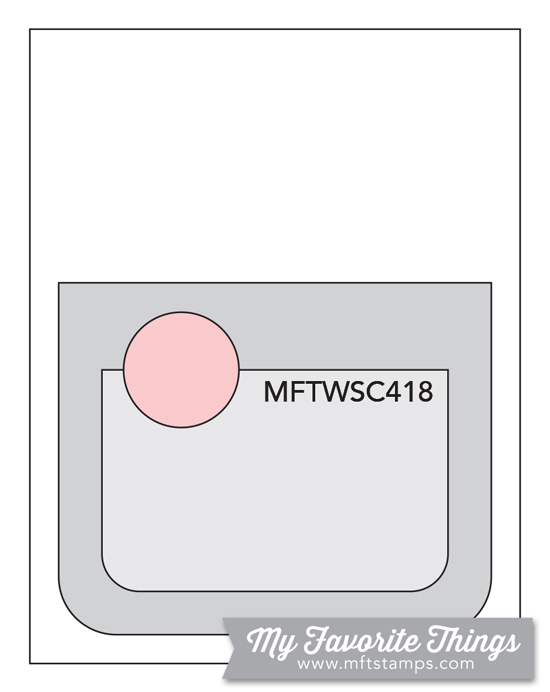 That way, participants can choose to play either before or after being influenced by the DT's interpretations of the sketch. Such fun! Hope you will visit the AHSC Blog and play along! 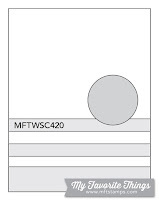 One of my favorite crafty things is a layered sketch, and if there's something I am afraid of it's the whole idea of CAS cards. 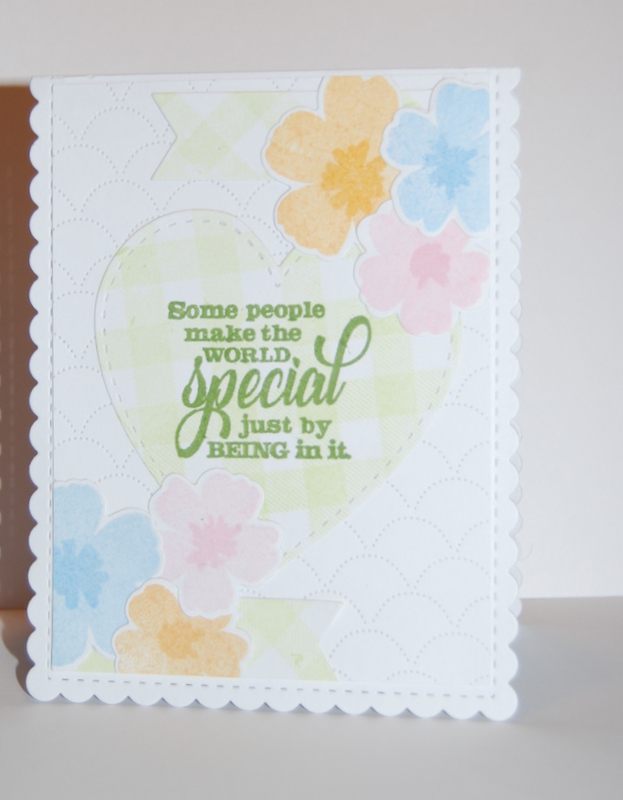 So, it's quite surprising that subtle layers on this card create such a CAS look. 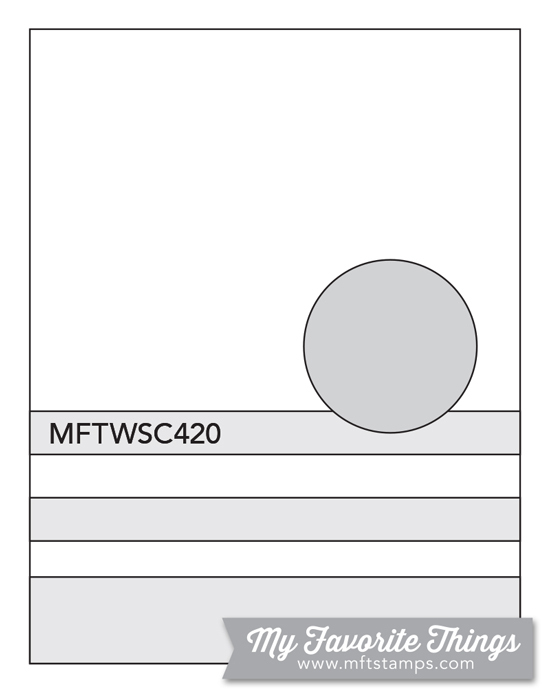 The scalloped layer is Flags and Frames, and the vertical layer is a MFT border die that I inked by cleaning off my brush after creating the cloudy sky. 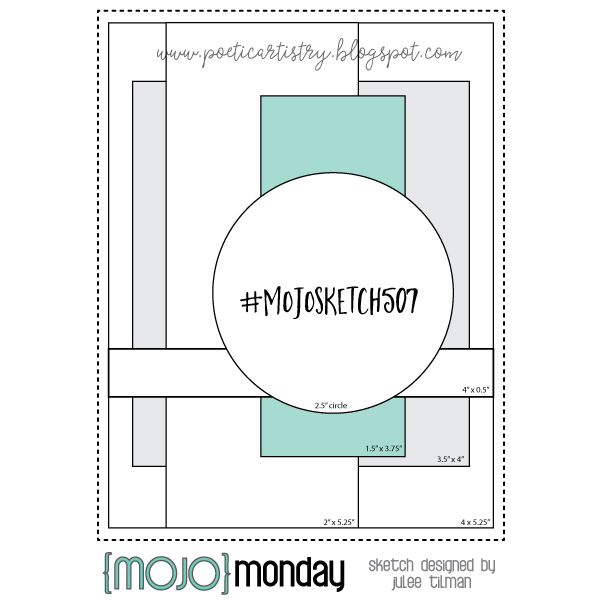 I am enjoying this chilly holiday listening to music and making cards. 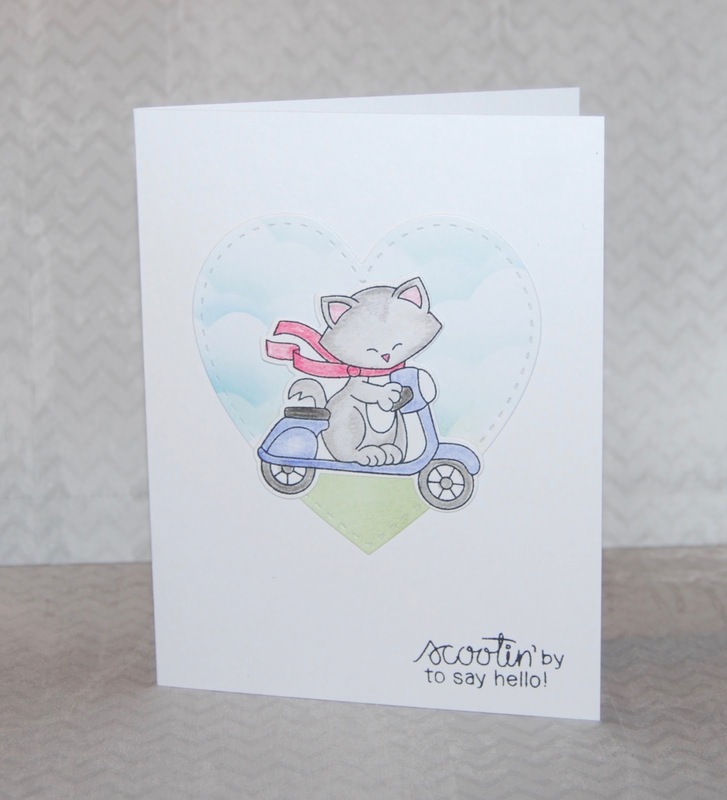 This one features Newton Scoots By and will be sent to the Cards for Little Hearts Drive. 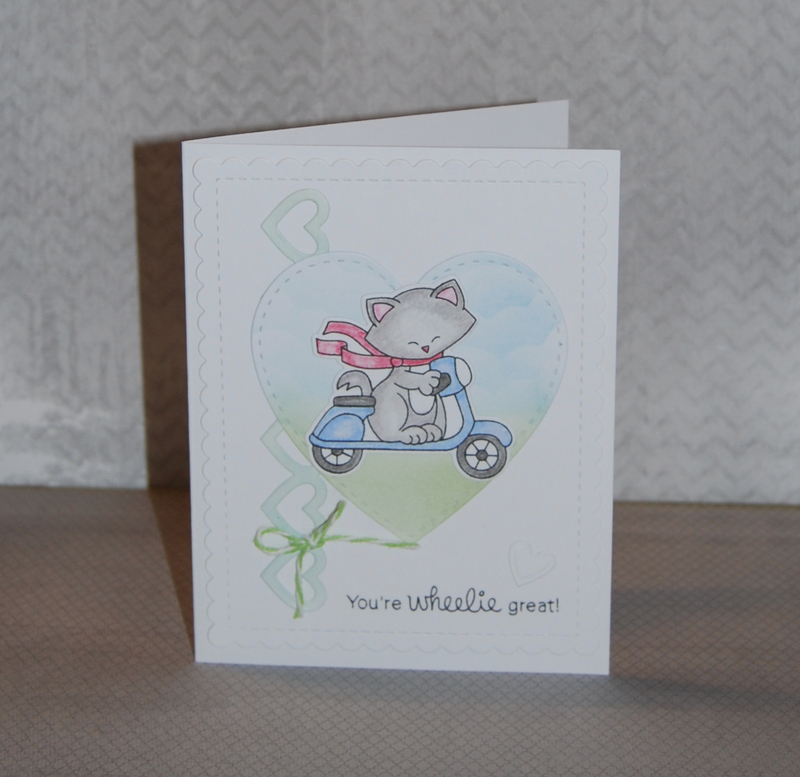 The Cards for Little Hearts Drive is organized by the very sweet and talented Christina Hor. 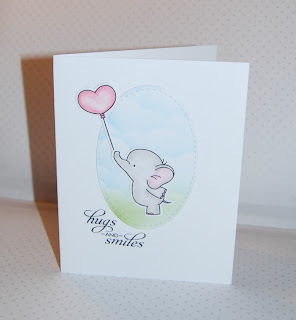 Please take time to follow the link provided to read about how your handmade card could bless a child with congenital heart disease. The collected cards are chosen by doctors and nurses for their young patients, and they take time to write a special greeting to each one. What a way to spread love and to encourage healing! Note: Please read the guidelines first as Christina has really thought about safety and children's perceptions as the cards are received. 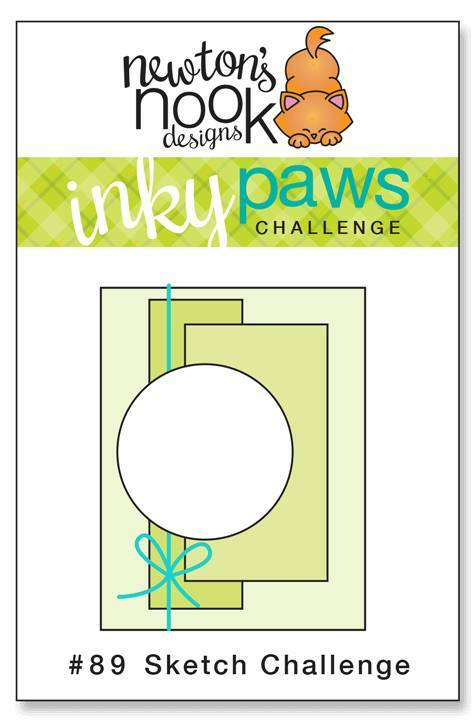 There are several drives if you can't make the deadline for this one. 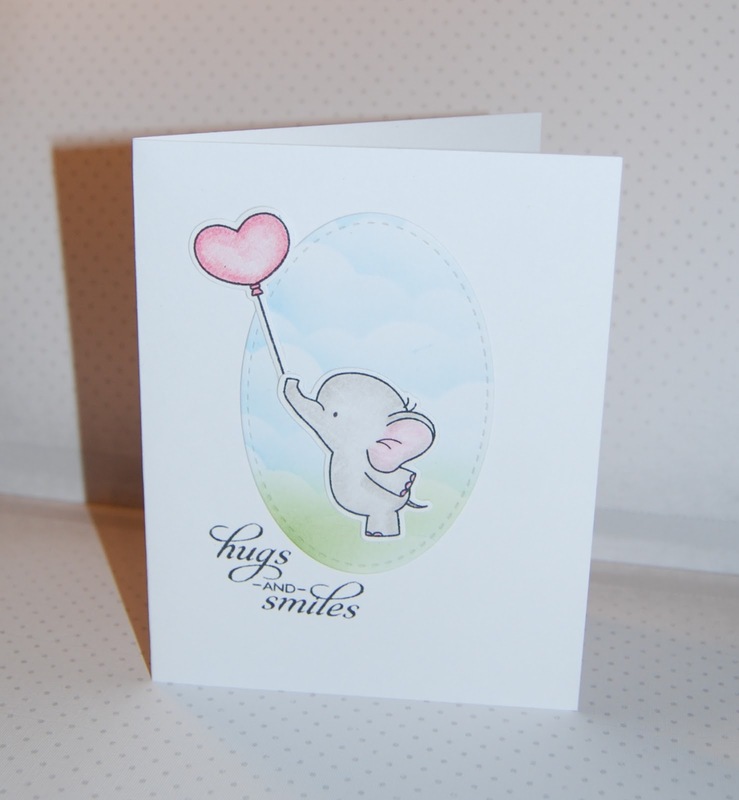 This card was made to send hugs and smiles to children hospitalized with congenital heart complications. The Cards for Little Hearts Drive is organized by the very sweet and talented Christina Hor. 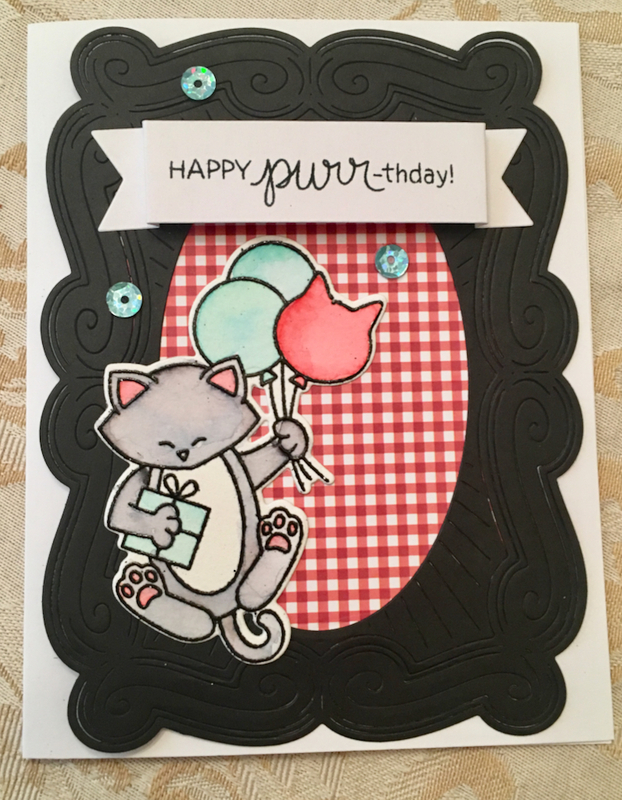 Please take time to follow the link provided to read about how your handmade card could bless a child with congenital heart disease. The collected cards are chosen by doctors and nurses for their young patients, and they take time to write a special greeting to each one. What a way to spread love and to encourage healing! 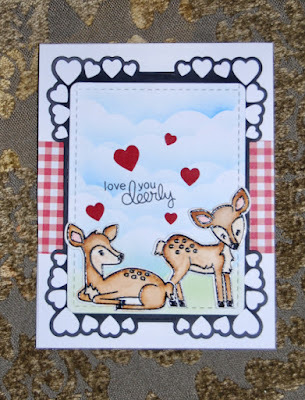 Love the darling little "Deer Friend"set from Newton's Nook! 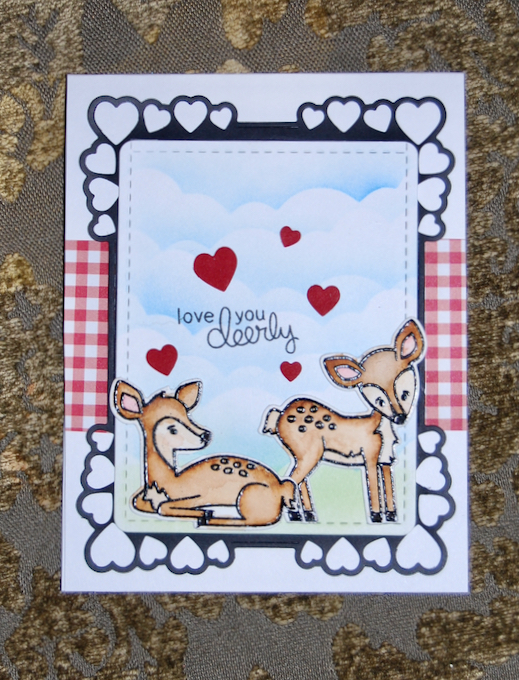 Such fun to watercolor them with Arteza Real Brush markers and to layer according to the current sketch! This card uses MFT's Adorable Elephants and the current MFT Sketch, but much more importantly, it is designated for the so very sweet Christina Hor's Cards for Little Hearts Drive. Please take time to follow the link provided to read about how your handmade card could bless a child with congenital heart disease. The collected cards are chosen by doctors and nurses for their young patients, and they take time to write a special greeting to each one. What a way to spread love and to encourage healing! I wasn't feeling the low-carb pain until I fussy cut this yummy little cupcake....now, I want a cupcake! 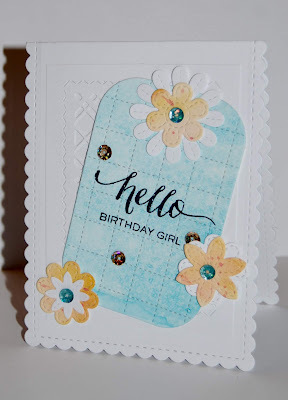 Instead, I'll share this little card with a friend who has a birthday coming up. 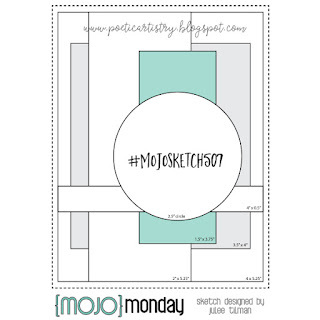 The fun layers were suggested by the wonderful Mojo Monday sketch which even includes measurements, and the color scheme is courtesy of MFT's color challenge. 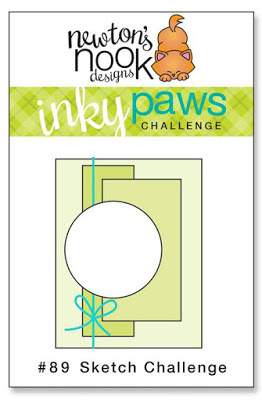 The patterned papers are a sampling of several different stacks, and the pierced scallops were created using Altenew's Dotted Scales Debossing Cover Plate. 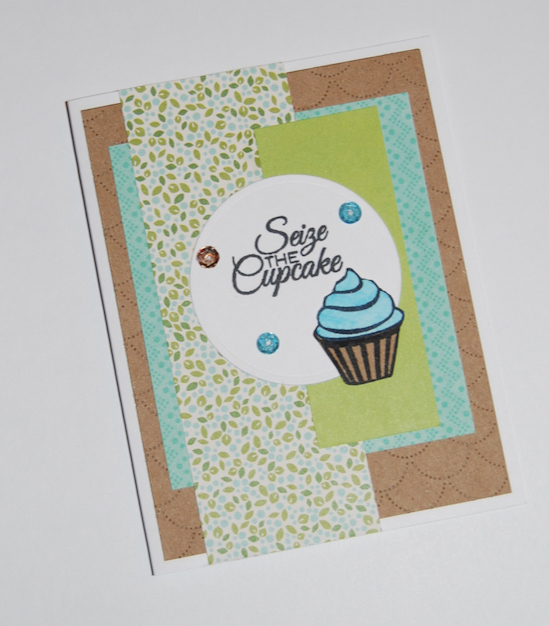 The stamps are part of Verve's Cake and Candles collection (retired). 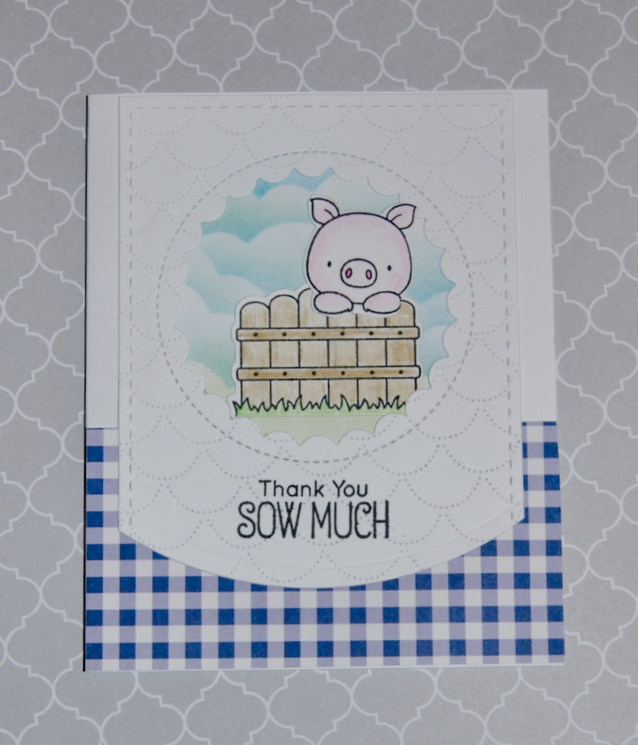 I used Hog Heaven with last week's MFT sketch...back again with the cute little piggy, punny sentiment, and a new sketch. Such fun! 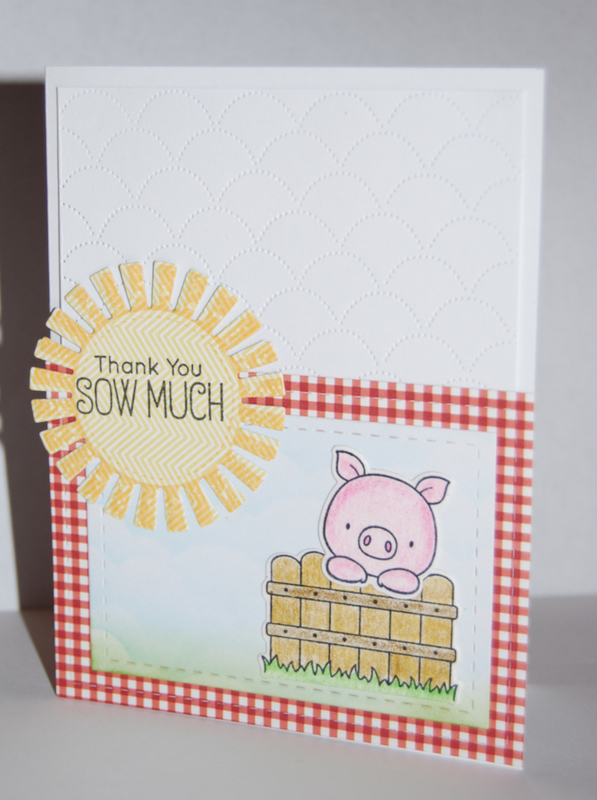 "Mom, do you think you could make a thank-you card with a barbecue theme? My son is preparing to return to college for his last semester before graduating, and I guess he is feeling a little nostalgic about campus life coming to an end. He has a list of experiences to have one more time before commencement and a list of people he wants to thank. Among them are the folks at a barbecue restaurant the students enjoy. I answered his challenge with MFT's Hog Heaven stamp set and decided to play along with their challenge. 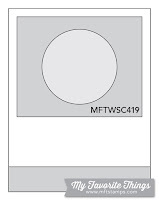 I had to run my brand-new-just-out-of the-mailbox Altenew Dotted Scales cover plate through the Big Shot. It is even more wonderful than the after-dark photo shows! 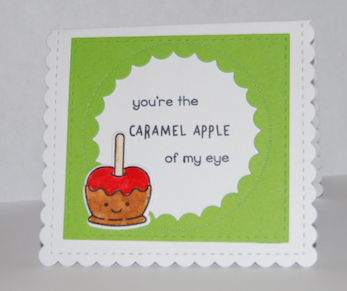 Lawn Fawn's Caramel Apple set is another Christmas gift. It was stamped in black Archival ink and colored with Arteza Real Brush Markers. 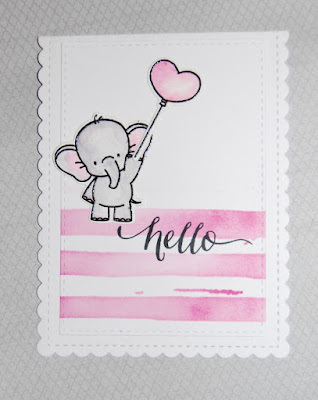 I normally use watercolor paper and a water brush with my Artezas, but this time, I stamped on a smooth blending card stock. The color seemed to pool on the surface, so I will probably go back to watercolor paper. 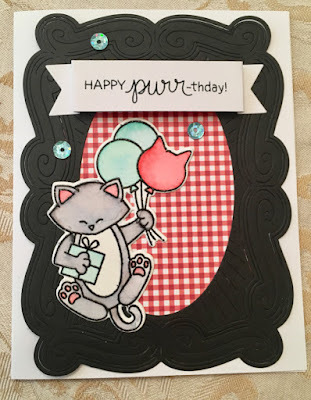 I watercolored Newton's Birthday Balloons using red, arctic blue, and black ash Arteza Real Brush markers and layered him over PTI's Scroll Frame Die. One of my Christmas gifts was some cash to spend at a wonderful paper crafting store. 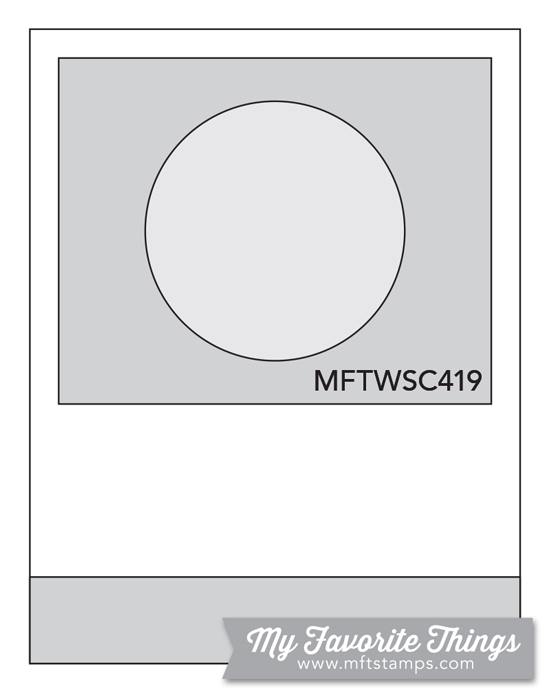 If found the Neat and Tangled Inlaid Squares cover plate die to be intriguing, but truthfully, I wasn't quite sure what the cut would look like. I love it! 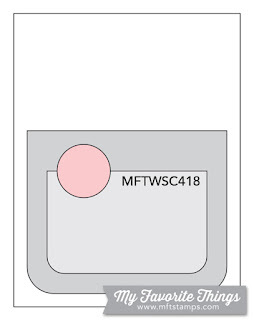 It cuts like a dream, which is important since all the little pieces are needed to put it back together. There are some very creative samples shown in the Neat and Tangled store. The Happy Hydrangea is a Technique Tuesday image which I heat embossed and colored with Arteza Real Brush markers. 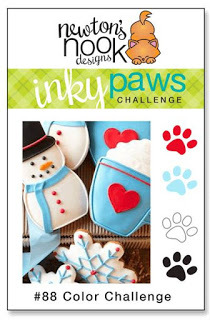 This adorable stamp set was a prize from the 25 tags of Christmas, and it arrived in my mailbox while we were traveling. So glad to have a little time to break it in. 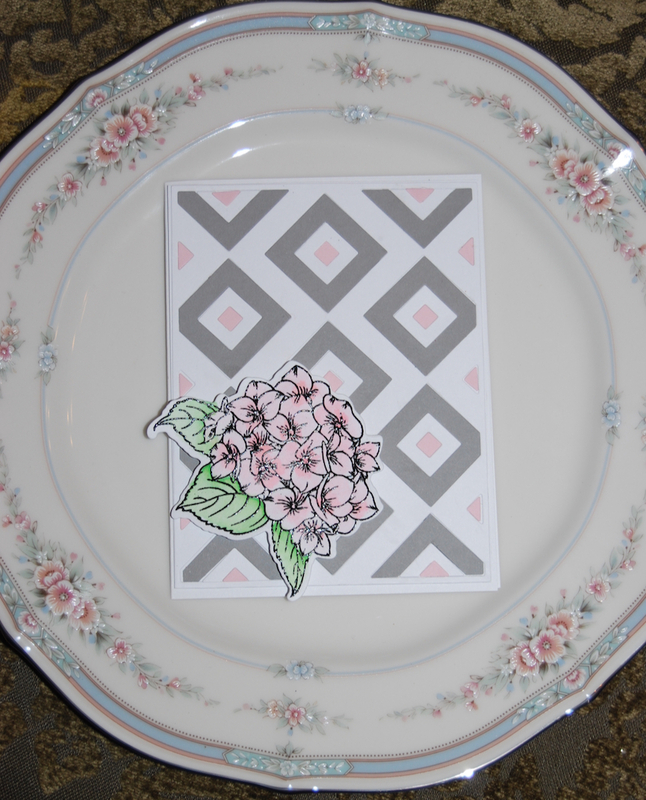 The images work up nicely with Arteza real brush markers on water color paper. 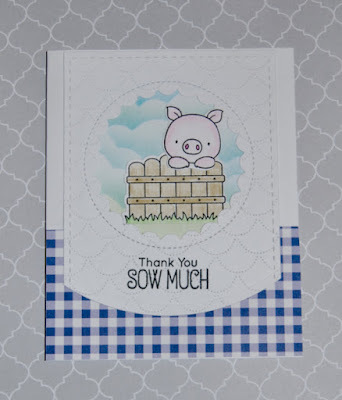 I spent a little time yesterday watching crafting videos and came across this beautiful card which inspired this thank you note. The stamps are Papertrey Ink Floral Sketches and the inked area was done with Peacock Feathers Distress Oxide. Happy 2019, crafty friends! 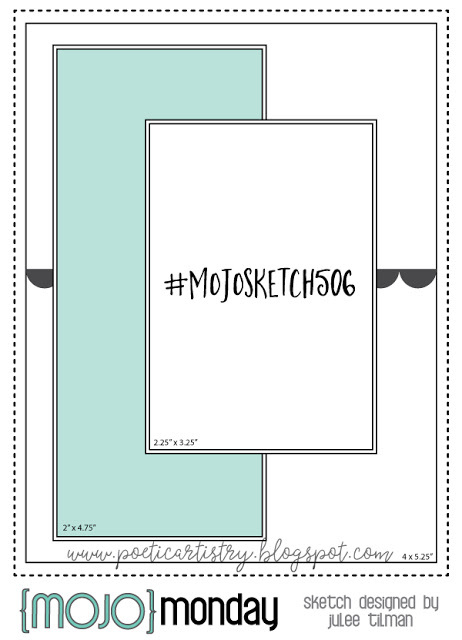 Card-making is a great way to start a new year, and I need a few thank-you cards. 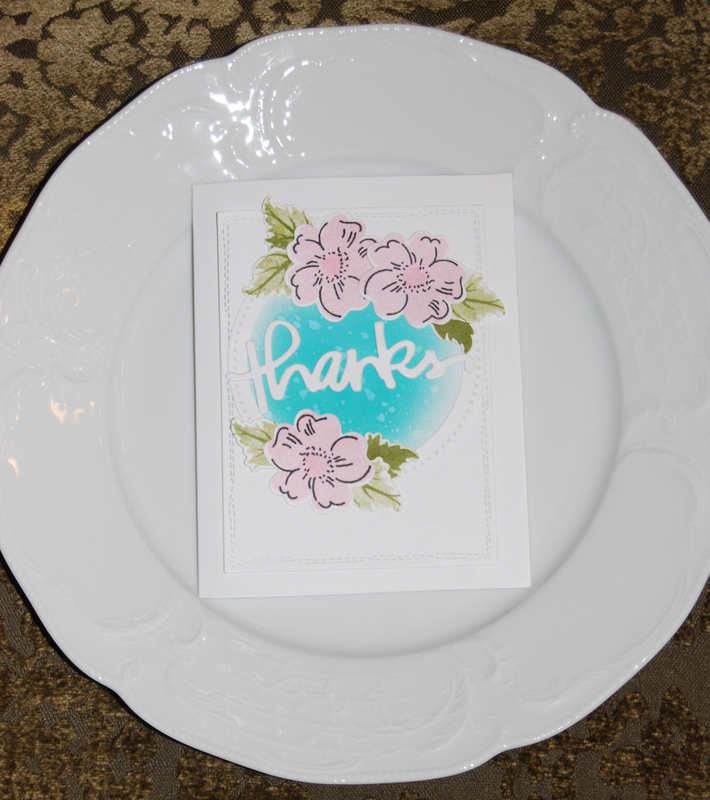 The central panel is a new Confetti Cut: the Grid-Stitched Tag and the watercolored flowers were in my "extras" bowl. They are from Reverse Confetti as well: Banner in Bloom and Build a Bunch. 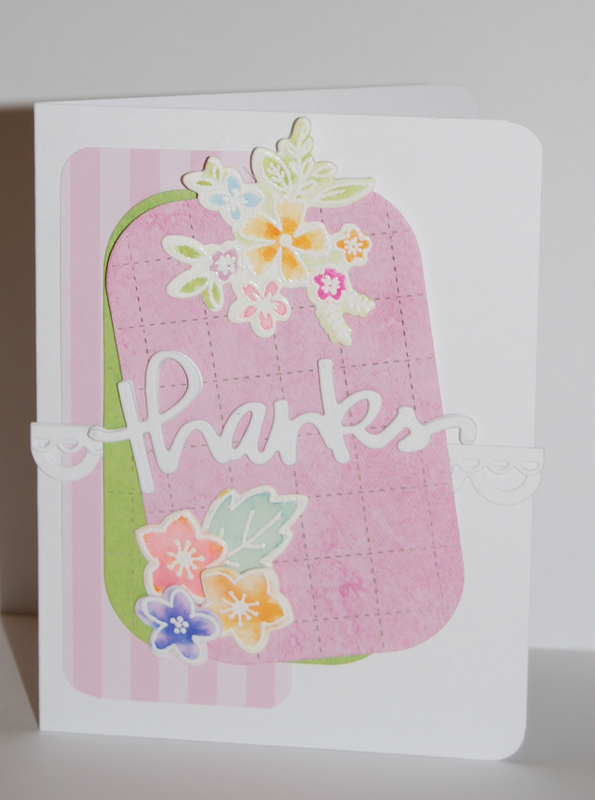 I stacked the thanks word die three times and layered everything over a lacy scalloped Verve die (retired).